Madame Ching looks like a really interesting eurogame. 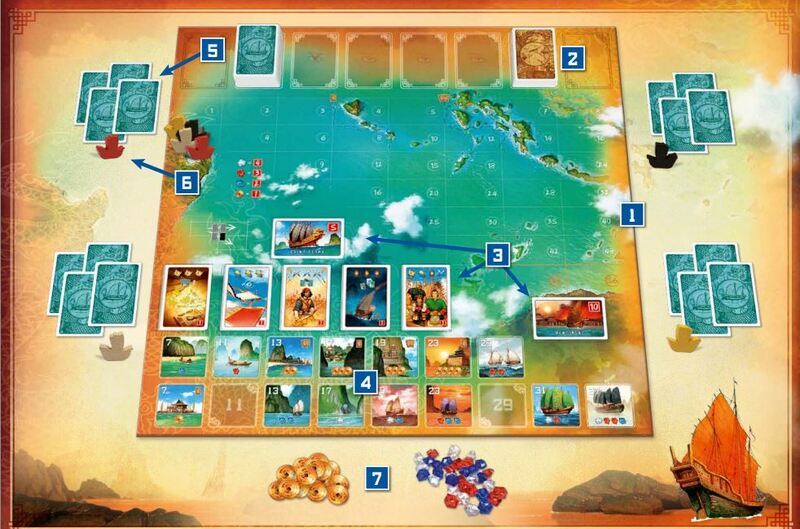 Players send their boats on expeditions across the sea by playing cards (each showing a number, a colour and a symbol) – so far that sounds very normal, but the central game mechanic is unusual. At the start of each round, players simultaneously reveal one card from their hand of cards. In order, based on their card number (highest to lowest), players each take a turn playing the card they revealed. If a player’s card has a higher value than their previous card, the player’s ship advances across the sea grid of numbered spaces moving it one space to the right. If the card has added a new colour to their expedition’s cards, the ship also moves down one space too.